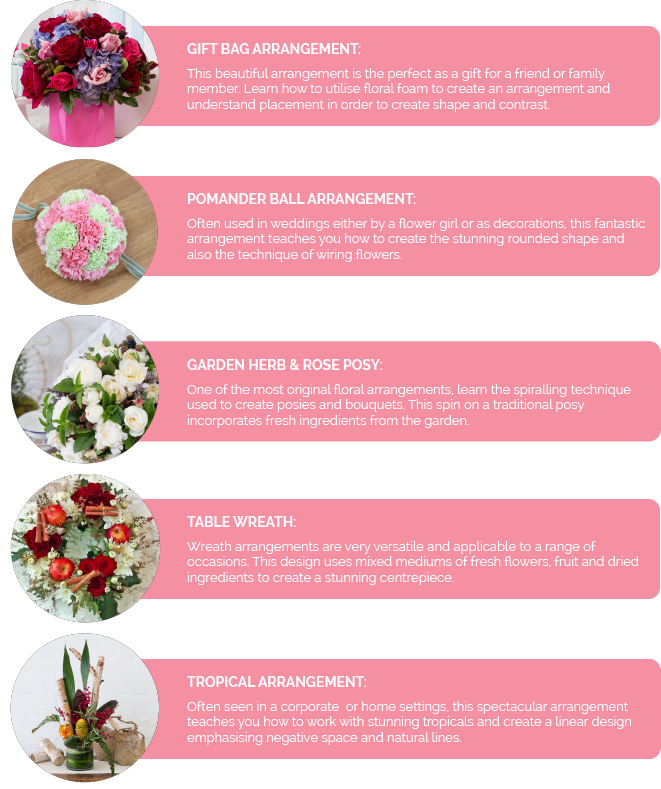 The Bloom Basics course is the perfect introduction to floristry for those without prior experience caring for and arranging flowers. It is also well suited to those wanting to refresh the skills they gained from some prior experience. You will gain new knowledge and skills in each class, building a firm foundation for any further classes or flower arranging you might like to pursue. Each Flower Arrangement class includes a video demonstration and recipe book, so we take you step by step through the journey. Plus, we've included a range of videos teaching you the fundamentals of flower arranging, and a few tips and tricks to help you get started.